Remember the falling channel pattern that we were looking at on Cable? Well, we have another chance at jumping on the downtrend! 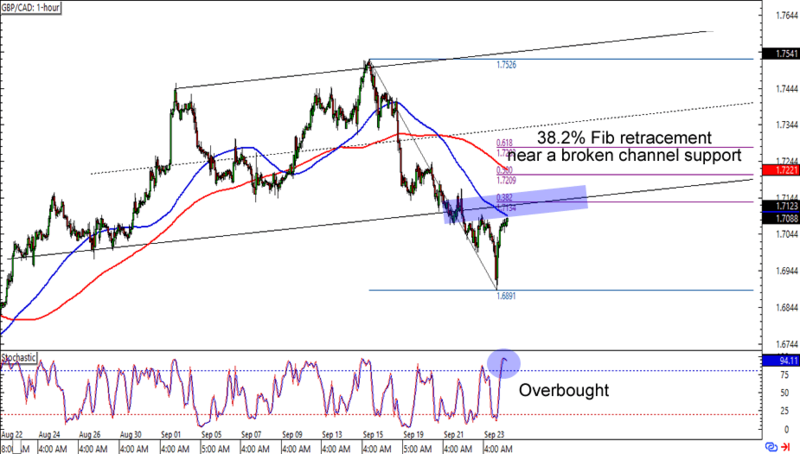 GBP/USD just bounced from the 1.2950 support and it looks like it’s headed for the 1.3050 mark. What makes the level interesting is that it also lines up with not only the 100 and 200 SMA area, but also the falling channel resistance on the 1-hour time frame. Keep an eye out for an overbought Stochastic signal, will ya? It might be the straw that will break the bulls’ back and inspire the start of another move lower. 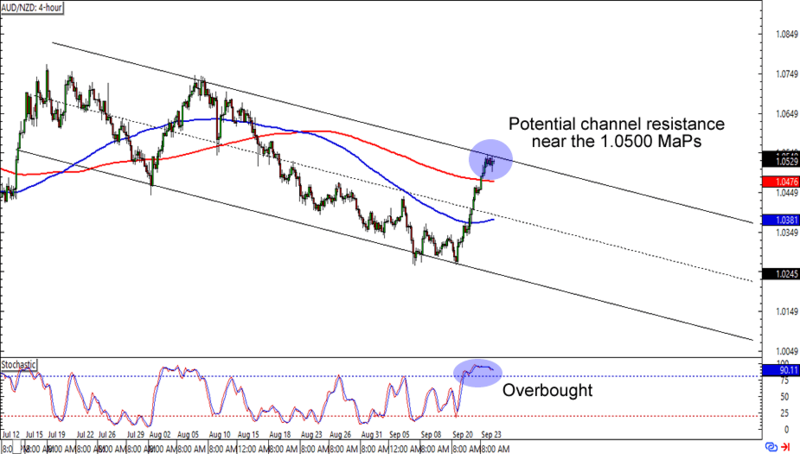 If dollar-trading is not your thing, then here’s another pound-bearish setup for ya! GBP/CAD is lollygagging just below the 1.7100 mark, which is right smack at a 38.2% Fib retracement, 100 SMA, and a broken channel support retest on the 1-hour chart. The cherry on top of this bearish setup is an overbought stochastic signal. Think the pound is in for more losses against the Loonie? Keep close tabs on this one, folks! Trend traders huddle up! 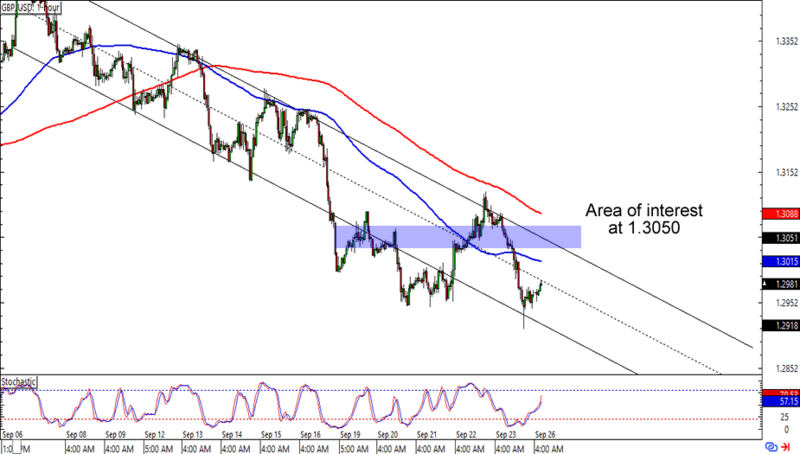 AUD/NZD is having trouble breaking above the 1.0500 major psychological handle, which is right smack at a falling channel resistance on the 4-hour time frame. What’s more, stochastic is chillin’ like a villain on the overbought territory. Shorting at current levels could give you a good reward-to-risk ratio especially if you aim for the channel support. Just make sure you practice good risk management especially for currency cross trades like these!